I've been on YouTube for about 2 years (youtube.com/executor1014) and I know how hard it is to get subscribers. How bout we share our channels and do some subscribing? Tim McFall, Domo origato, Tim McFall! Tim McFall! That's Tim McFall, happy happy new, Tim McFall! 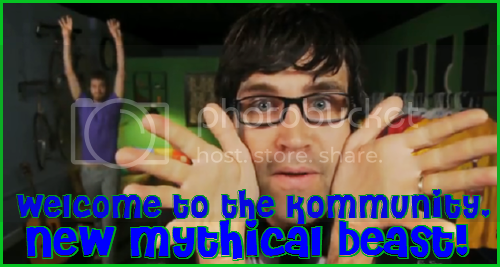 Basically, you think of a mythical beast name for yourself, stick it in parentheses next to your name, and start chatting in the forums and the chat! And, most importantly, have fun!